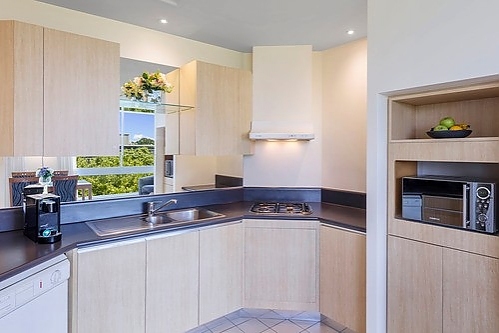 Spacious 2 Bedroom Apartment with fully equipped kitchen including stove and convection microwave, dishwasher, crockery and cutlery, tea and coffee making facilities. 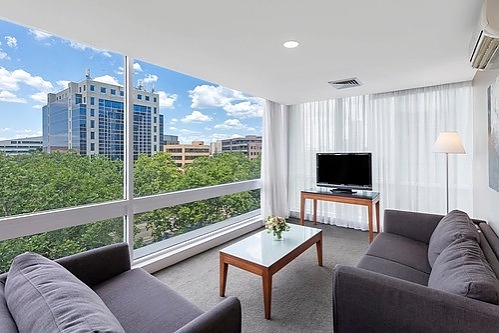 Separate living room with lounge suite, Foxtel cable TV and DVD player. 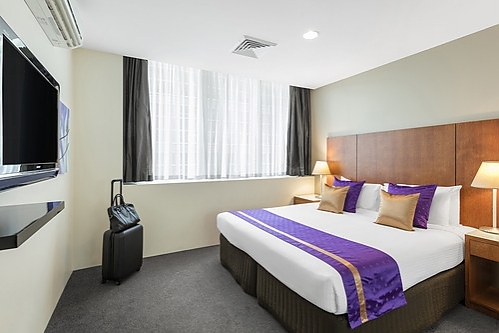 Conveniently located on St Kilda Road with a tram stop at the front of the hotel. 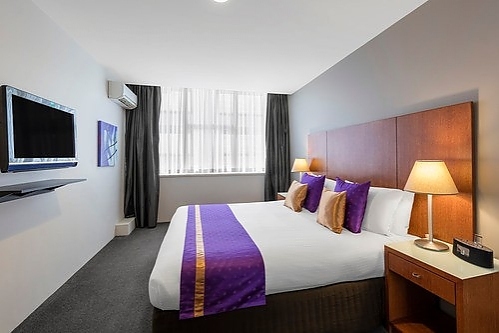 Park Regis Griffin Suites is the perfect choice for guests who need to be in easy reach of all that Melbourne and its surrounds have to offer. 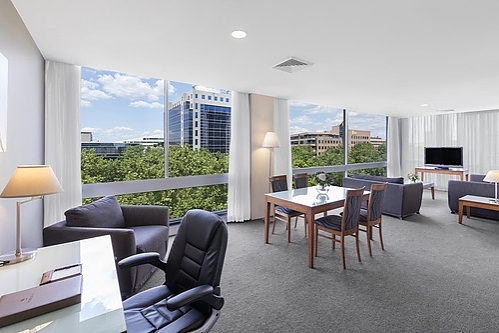 Close to Albert Park, St Kilda Road's business precinct, it's also just minutes from the National Gallery of Victoria, Melbourne Theatre Company, Arts precinct, Sidney Myer Music Bowl, Royal Botanic Gardens, Crown Casino, MCG, Chapel Street and popular restaurants and cafes. 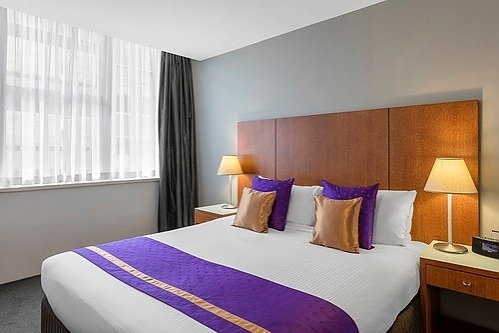 Park Regis Griffin Suites also provides guests 24 hour Reception Friday and Saturday, Sunday to Thursday 0500hrs -0100hrs, Cafe/bar, room service, laundry service and guest laundry, free WiFi, tour bookings, luggage storage and undercover parking. The hotel also has conference and function facilities catering for a range of events. 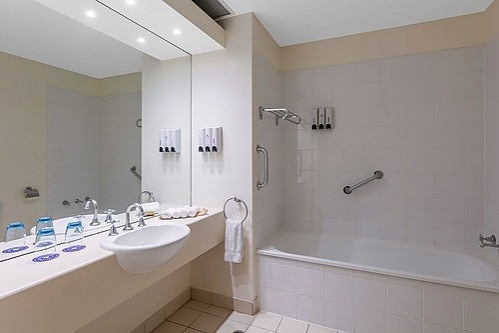 For business or pleasure Park Regis Griffin Suites is the ideal central base in Melbourne. Free WiFi 500MB per day up to 5 devices.